COMING SOON: De Soto Area Council Spring Camporee (April 5th-7th) at Lincoln Parish Park, Ruston, LA. We will begin making plans at Monday night's meeting (March 25th @ 6:30PM) to attend this event. A little about Lincoln Parish Park: LPP is located 108 miles SW of Monticallo near Ruston, LA. The park has a beautiful 30 acre lake with a white sandy beach for swimming, boating and fishing. Cozy picnic and camping sites. Winding walking paths. Lincoln Parish Park is well known for its Mountain bike trails which feature a blend of tight single track, double track and fire lanes. 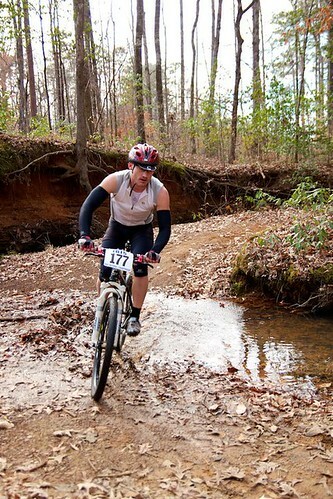 With the park's varying terrain and elevation changes Lincoln Parish Park's mountain bike trails are rated some of the top trails in this part of the country. 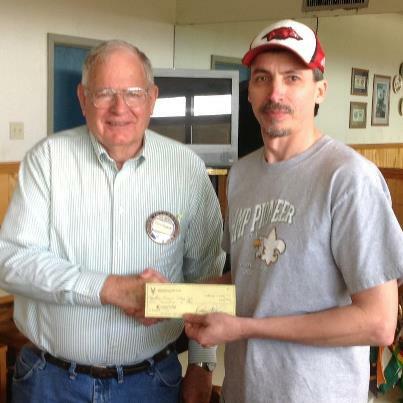 The Monticello Lions Club presents a donation to Boy Scout Troop 67 Scoutmaster Terry Crook during their March 21st meeting at Western Sizzlin. At the meeting Mr. Crook reported to the group on recent Troop activities, Troop growth and talked about the addition of Social Media as a new communication tool for the group. Thanks to the Monticello Lions Club for their support. There will be no Troop Meetings Monday March 11th or Monday March 18th, 2013. Next Troop Meeting will be Monday March 25th at 6:30PM in the FUMC Scout Room. Our next trip is the 2013 Spring Camporee being held at Lincoln Parish Park near Ruston, LA April 5th-7th, 2013.